If you plan to play in live poker rooms, one concept you need to understand is the one of a “must move game.” In some casinos, you will find certain games featuring the main game and side games that force players to move into the primary game. For those playing in casinos with a must move game, there are a few things you should know ahead of time in order to maximize your profits in them. What is a Must Move Game? 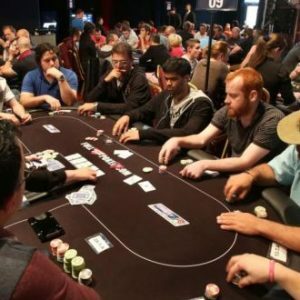 In some casinos, rather than running multiple tables of a particular game during the entire shift, they create a must move game. How it works is that there is the main game that plays the entire time and if there is enough demand to open a second table, a second table is opened. However, if players from the main game leave or are busted, then players from the secondary game must move to the main game. For example, a $2-$4 game has a list of 8 to 10 players waiting. The floor decides to open a second table that’s a must move table. Players that come to the game are moved to the main game in the order they appear on the list or enter the game. For example, if you are players #4 to enter the must move game, then you will be the fourth person to move to the main game. These games are often run at stakes higher than the normal games in the poker room, such as a $2-$4 NL game in a room that normally spreads $1-$2. Mixed games such as Stud or Omaha Hi-Lo may be held in a must move format. Often, you’ll find that must move games are full of fish rather than regulars. When this happens, you want to maximize your time with the fish as opposed to the regulars. How do you do this? Often, it means that you need to put your name on the must move list near the bottom. Many times, the main game will fill up with a lot of regulars at the casino with the fish being those that must move from the other game. As such, you want to come in later than normal so that you get on the must move list or get seated at the must move table. For example, if the poker room opens at 10 and the main game starts to develop a must move game around 11:30 or 12, then you may want to come in about 1. That way you will avoid being seated at the table with the regulars. This is less applicable on the weekends or when there is a lot of tourist traffic as there is a steady influx of fish. Basically, you need to figure out the rhythm of your poker room to find the best spots for your must move game. Often, you will find the best must move games in lower stakes or different games than is the norm. For example, you may be a $2-$4 player but there is a great $1-$2 must move game that runs multiple days a week. It is often worth it to move down in stakes to fleece the fish rather than grind profits against tougher competition. If you are proficient in non-Hold’em games, don’t be afraid to jump into a Stud or Omaha Hi-Lo must move game. Casinos that are running these games are doing so because they don’t normally have the demand for these games, which typically means that there won’t be as many regulars as in the Hold’em games. If there is a tournament series in town, this is a great time to find must move games that you may not normally see at the casino.